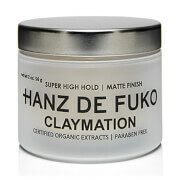 Water-soluble strong pliable hold mud with a matt finish. It does not flake or leave a powdery residue, washes out easily and won't build up in hair. 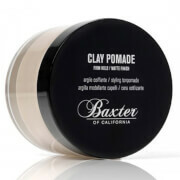 It weighs curly hair down, is suitable for all types of hair and is excellent for men with thinner hair. Use sparingly, rub hands together and work evenly to create desired shape. Lanolin Wax - Emollient and moisturising.